I remember very clearly how much I hated preparing and planting the vegetable garden that my father planned every year. So it is with an appropriate amount of irony that I, too, will force my children to help me plant mine. So far, they don't mind much, and to be honest, they don't really help all that much either. 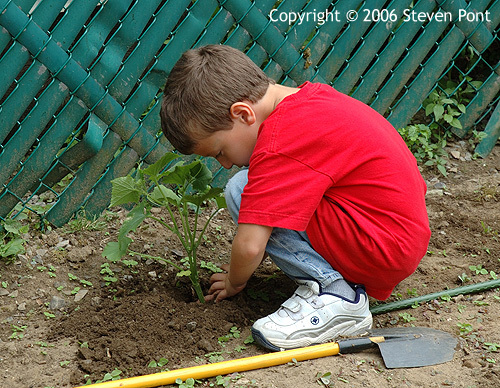 The biggest problem now is not preventing one of the kids from killing a plant before it gets into the ground, but rather preventing one of them from smacking the other in the head with a shovel (accidentally of course).